The Lodge and Chalet were purchased by Randy & Lori Strandlund in March, 2014, with a vision to bring back the community spirit and showcase to the world, this unique and special place. 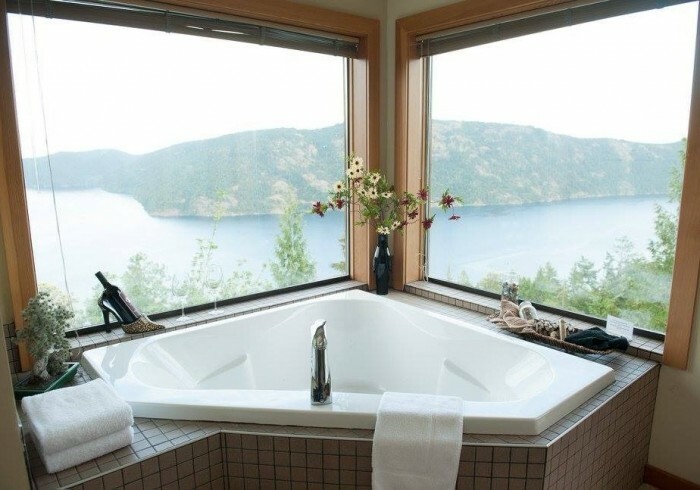 After upgrades to the hotel and extensive renovations in the restaurant, the Moon Water Lodge and Malahat Chalet opened in Spring 2014. Since our opening, we continue to expand and renovate to create an even more comfortable space and options for our guests. At the Lodge, we offer rooms that are pet friendly, spacious suites with two floors, long stay studio’s complete with full size fridges and cooking facilities. In the Chalet, we are constandly expanding to create a more comfortable dining spaces. In 2018, we will open one of the Islands largest, outdoor dining decks where you will be able to enjoy lazy afternoons and long evenings, sipping your favourite beverage drenched in the suns warm rays, overlooking the magnicifant Saanich Inlet. Immersed in nature, we appreciate and cherish the world we live in. Our cleaning products are environmentally friendly; our products compostable and we are moving to reducing our plastic use, as much as possible. We skip the plastic bin liner in the hotel, in the bathrooms. We are pround to be partners with SurfRider, an environmental organization that works, worldwide to clean up our oceans and raise awareness of the devestating effects single use plastic has on us. The Chalet is spearheading a “Strawless in BC” campaign to eliminate the use of plastic straws in restaurants and municipalities. We are proud to offer paper straws on request, or you can purchase your own, personal steel straw for unlimited use. We use compostable take out containers and paper bags and we are working towards a compost programme.